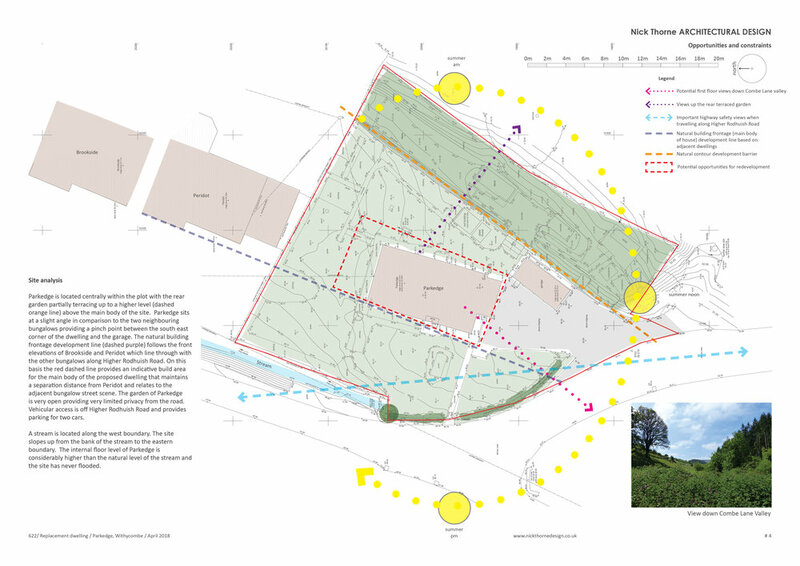 NTAD has successfully gained planning approval for a contemporary dwelling located in the village of Withycombe on the edge of Exmoor National Park. 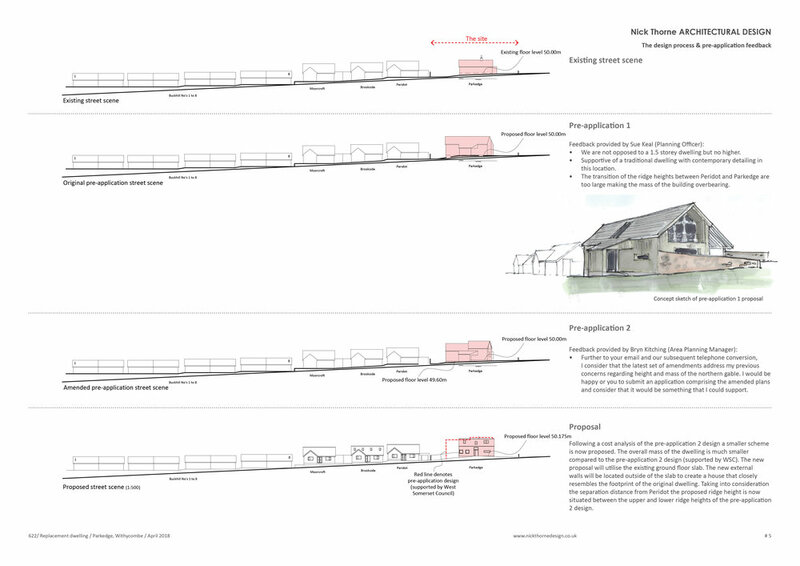 The existing pre-fabricated Woolaway bungalow will be replaced with a larger 1.5 storey highly efficient dwelling influenced by the woodland that frame the site and traditional rural architecture within the village. The new dwelling will combine contemporary design and detailing with modern energy efficient construction (Structurally Insulated Panels) to create a modern, light and airy family living space. The overarching theme is to blend the dwelling into the landscape (avoiding the easier planning route of opting for a white render to match the adjacent bungalows). The traditional form includes simplified wall and roof junctions to create a clean and sharp contemporary aesthetic. Windows and doors are located to maximise views up the valley to the moorland. The replacement house will be finished in a silver/grey charred timber cladding with contrasting window and door surrounds. The design received support from the Parish Council and was granted planning approval first time. 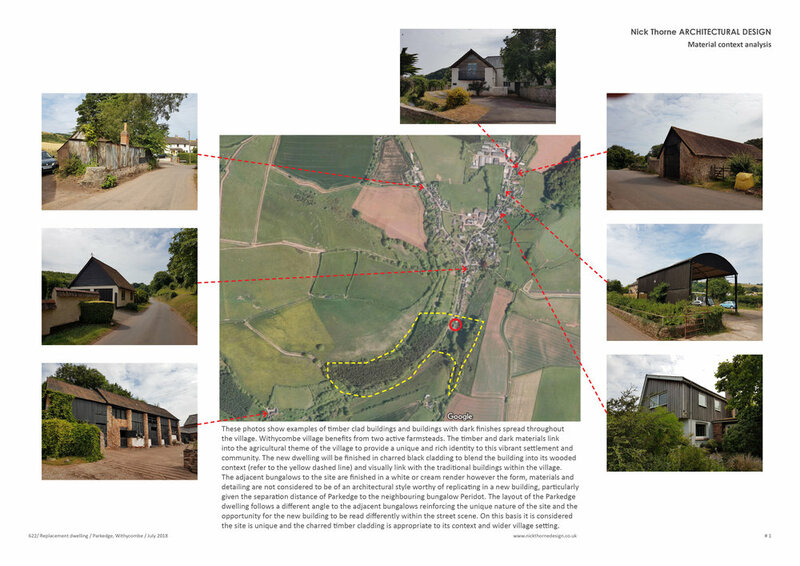 The Planning Officer's report concluded 'the site is at the southern end to the village in a prominent location...the design of the dwelling is unremittingly contemporary resulting in a striking building considered to make a positive contribution to the locality'. If you are considering a similar project please do not hesitate to contact NTAD to discuss your ideas further.